It isn’t that I have anything against formulaic pop, I just prefer the experimental. 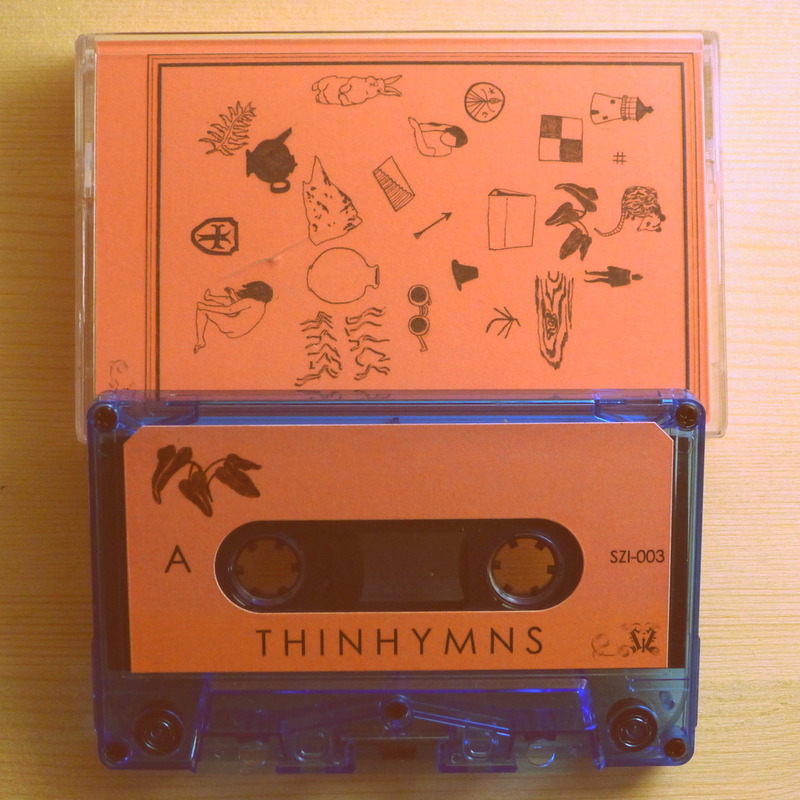 Welcome THINHYMNS, thank you for being you! Black Water is a rather lush, psychedelic affair, swaying and with loose falsettos to make you swoon! It’s way groovy and then lie back folk in parts, feel it? 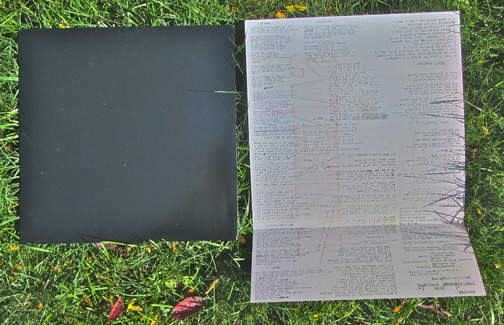 I mean, just look at the cover, that’s some straight fun loving stream of consciousness design. Layer upon layer and multi-instrumentaling, where it sounds like familiar pop but is well out on it’s own. You may find yourself thinking Grizzly Bear or Arcade Fire, but in the syncopation of Animal Collective. Grab one of the very few remaining from the saucy Sanzimat. Half of THIN HYMNS performs in Manual Cinema as the Baden Brothers for Lula Del Ray. If you didn’t get a chance to see us back in December at the Den Theater, come check out the show at Constellation on April 20th as part of CIMM Fest. We’re proud to be a part of such a killer lineup this year. Get your tickets here. Don’t forget to type in the special promo code SHADOW for the 2 for 1 deal! Lula Del Ray was one of the coolest things I saw last year. Do yourself a favor and go see it. HIGHLY RECOMMENDED. 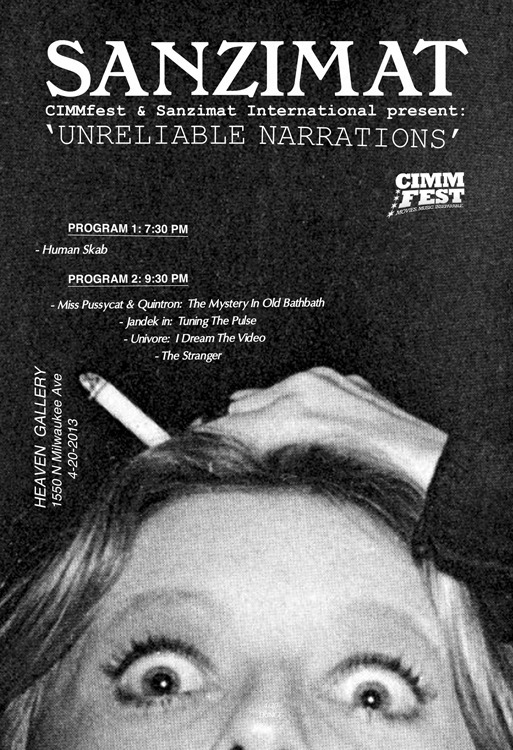 Sanzimat has curated a fringe film event at this year’s CIMM fest. It takes place Saturday, 4/20 at Heaven Gallery in Wicker Park. 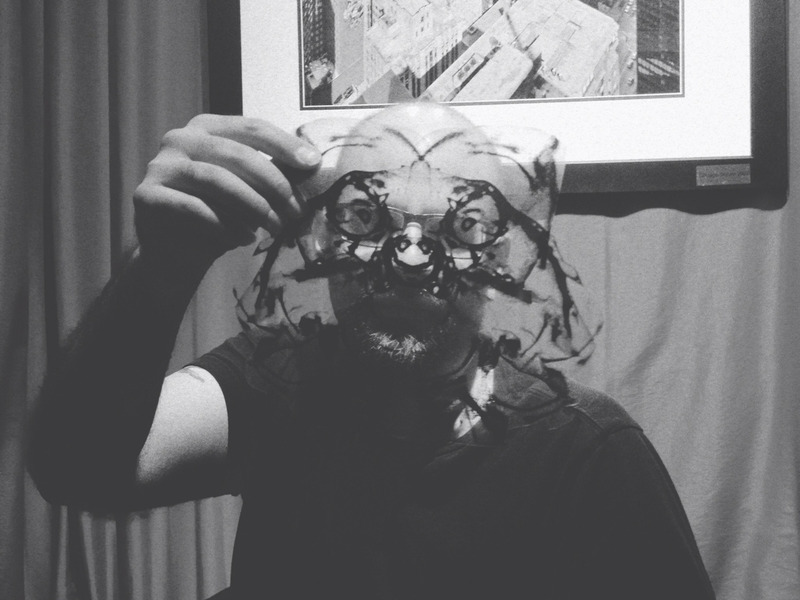 Premiere films from Quintron, Jandek, Univore, Human Skab and The Stranger. Part 2/3 of our video series Variegated Heart comes out today! Things are getting strange… Share with your pals. 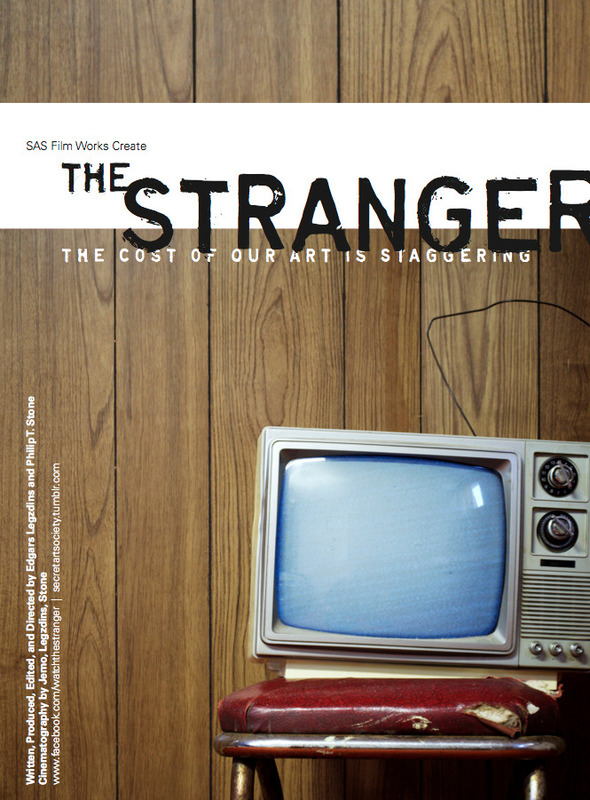 The Stranger will make its world premiere at CIMM Fest #5 on 4/20 at Heaven Gallery in Chicago. It will show as part of the Sanzimat-curated program “Unreliable Narrations.” A super limited edition soundtrack will be available from Sanzimat. SZI-003 T H I N H Y M N S - “Black Water” Commercial from Sanzimat on Vimeo. 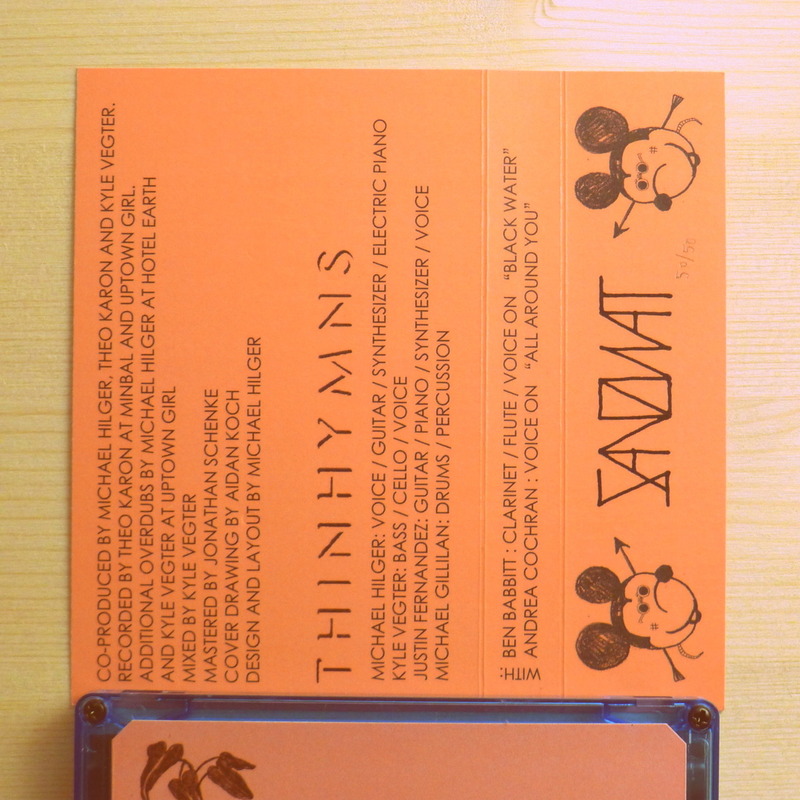 T H I N H Y M N S - “Black Water” album is now available on Digital & Cassette from Sanzimat International. 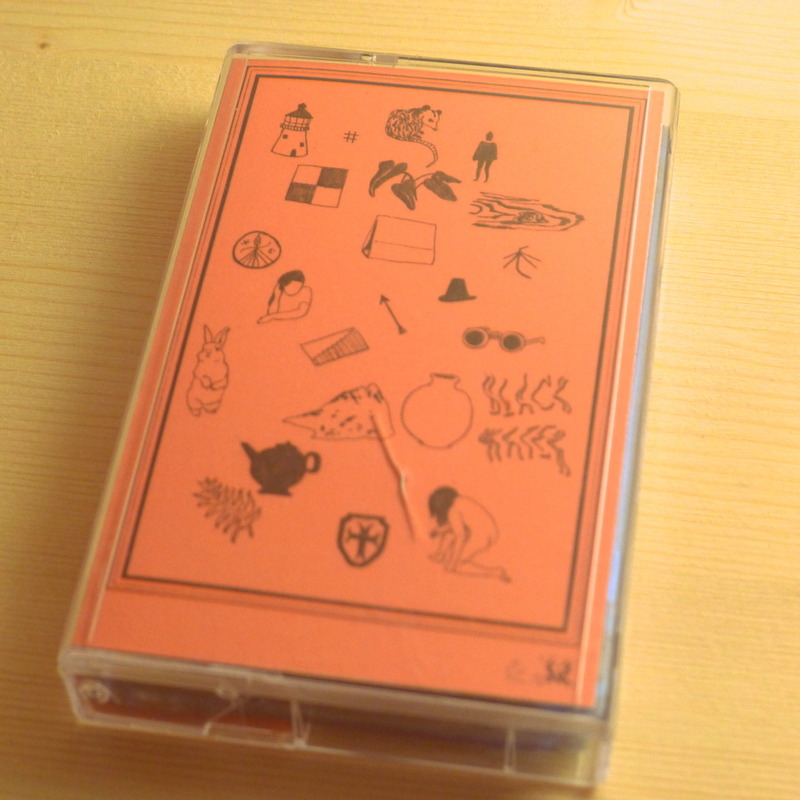 Right now I am pretty sick with some sort of weird head cold and the few things that have been making me feel better are tea, water, my girlfriend, and this Derek Erdman cassette. I got it in the mail the other day from Sanzimat International, a label that is pretty legitimate and is based out of Buenos Aires and Chicago, cool combo. 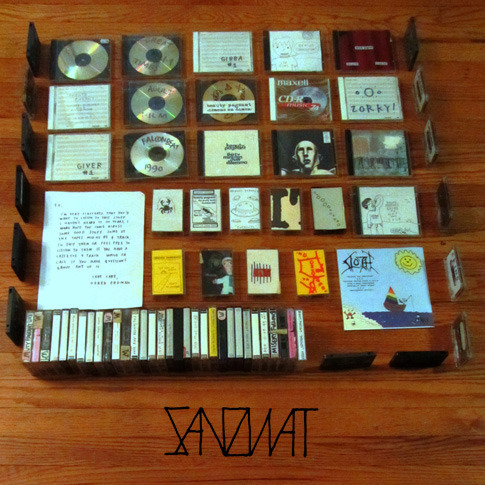 Coyote, Erdman’s release on Sanzimat is a pretty bizarre collection of outsider pop songs that teeter on the edge of lo-fi and occasionally fall into an experimental noise haze. This is the kind of stuff you wish you could stumble upon at some estate sale or goodwill. All the songs on here were written between the years of 1991 – 2004 however they all manage to fit quite well together. It almost seems like this tape was constructed by someone going into a closet full of reels and miraculously coming out with something sewn together after hours of listening. 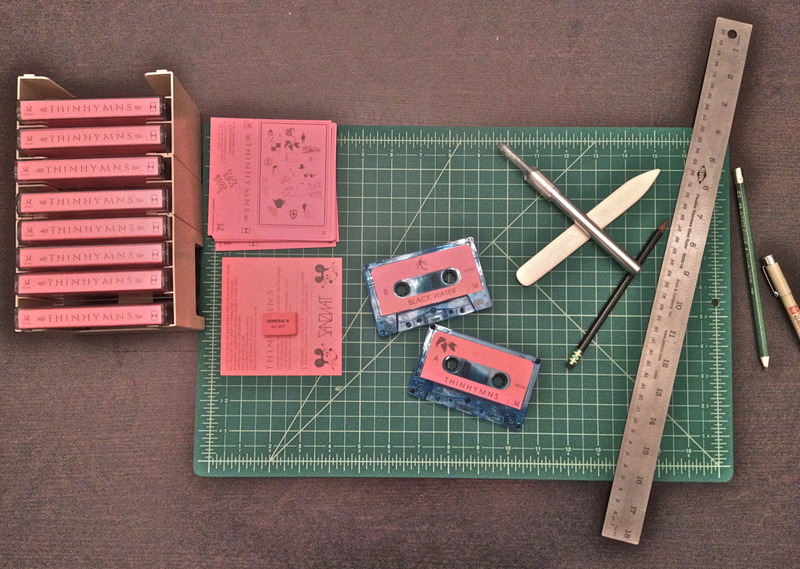 While this tape is made up of works by Erdman himself and bands that he has been apart of his influence on each song is very apparent despite the number of projects he appeared in. Like with any other artistic omnibus that takes a tiny part of an individual’s musings and uses them to represent a large time in the person’s life “Coyote” is meant to provide a glimpse into Erdman’s career and serve as documentation of his existence. Rather than saying, “I present to you, Derek Erdman” Coyote says, “There was this guy named Derek Erdman….”. However, this is a collection of cool stuff nonetheless so of course I have my favorite slams of this magnetic beast. Even if the majority of the songs on here are less than two minutes there is an enormous amount of personality in every single one of um so here we go! The first “song” that really seemed to stand out to me was a short little pop jammer called “It Really Happened” which is by Erdman’s band Double Decker Bus it has this chorus that goes “Smoke Pot, Trip On Acid, It’s Really Cool, It Really Happened.” It’s really catchy and goofy and I think the bass line is nice. It reminds me a lot of some early Moldy Peaches stuff. Cool. The second song that really stood out to me is called “He Knows That I Love Him”. This song is a short dark love song with oddly plucked guitar that is sort of aggressive despite the tenderness of the song itself. The track immediately after is a nine second blip of Erdman saying, “Do I look like Kurt Cobain to you?” Needless to say there is a lot of good stuff on here. So why not weave through it all yourself. The tape is beautiful and pro dubbed and sounds amazing. I would like to close with a quote found on the Sanzimat International site under Erdman’s tape. 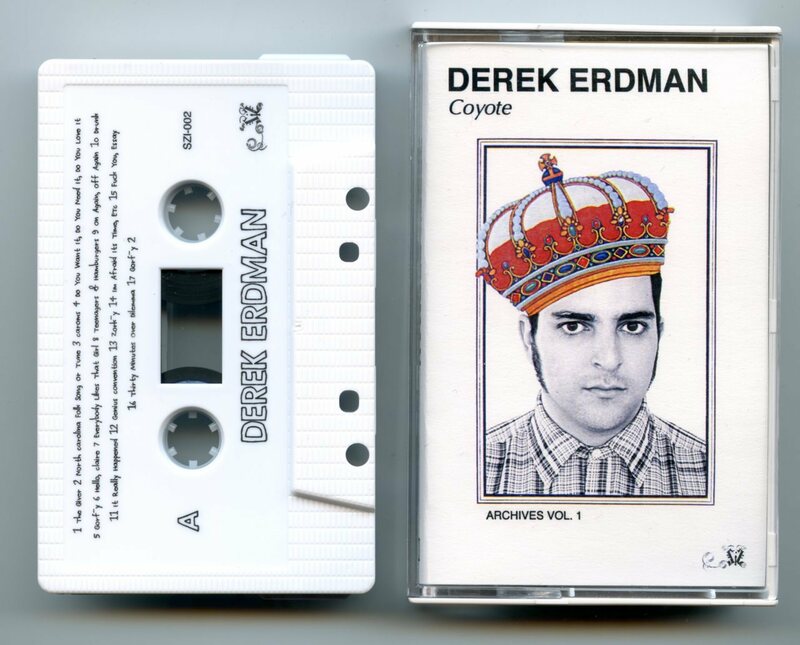 SZI-002 Derek Erdman: Coyote (Archives Vol.1) Promo. from Sanzimat on Vimeo. 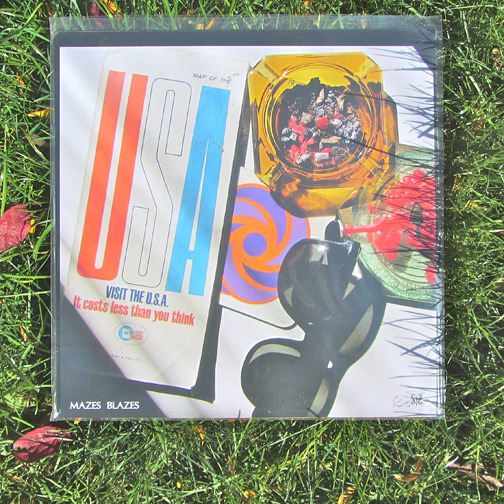 Mazes Blazes - “Young & Gross” Promo from Sanzimat on Vimeo. 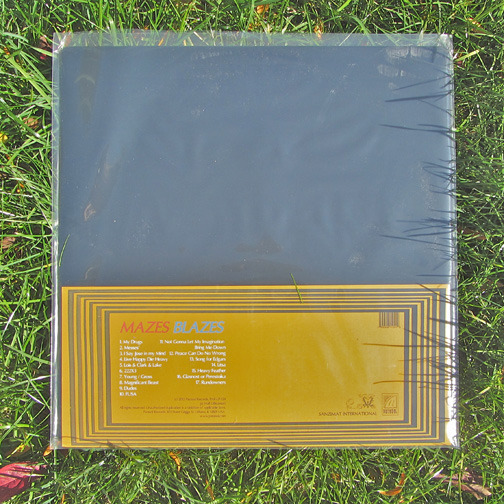 MAZES BLAZES is now available on colored vinyl & digital from Sanzimat. We are VERY excited to announce this show. Friday 10/19 @ Bernices in Bridgeport. FREE. 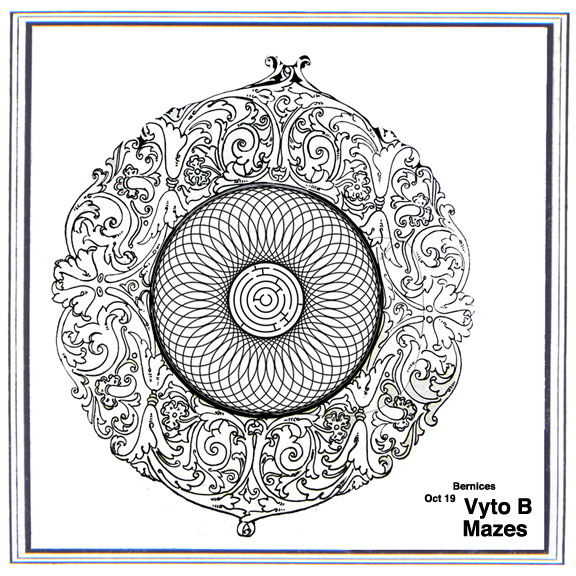 Playing with the legendary Vyto B.
MAZES BLAZES NOW AVAILABLE FROM Sanzimat/Parasol. 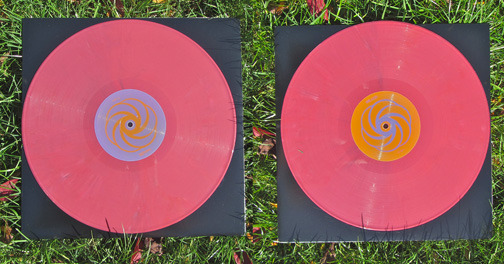 A few moons ago I approached artist Derek Erdman about releasing a compilation of the music he had made. He sent me a box of (nearly) everything he’s ever done, including the original 4-track tapes. He said “Do whatever you want.” A year later we have Coyote (Archives Vol. 1).